Sun, swimming pools and going to the beach: planning a great and safe family holiday. A few rays of sunshine have started breaking through the awful winter weather and the adverts have started on TV, so it must be time to start thinking about the summer holiday! We all have high hopes for our summer holidays whether they are to be spent in the UK or abroad, but every year we read and watch accounts of ‘holidays gone bad’, when something seemingly easy to avoid ruins families’ holidays, sometimes with more serious consequences. Sadly 50 British citizens drowned on holiday during 2016, with many more having experiences which ruined their holiday or even left them with lifechanging injuries. One of the reasons for this is that, pools and beaches at holiday resorts are often not managed in the same way as your local facilities, including lifeguard services not being provided or lifeguards not being trained to UK standards. So how can we make sure that we have a dream family holiday and still enjoy all the fun of the pool and beach? The best advice is to start afresh when you arrive at your holiday venue, making no assumptions about what safety provision may be in place. Take a look around for whatever guidance is provided and set some simple family rules (for children and adults), to make sure that whenever your family is around water everyone knows what to do. Before you even leave home, try and choose a holiday company that provides lifeguard facilities at their venues. 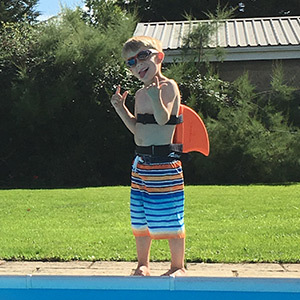 Whether there are lifeguards at your resort or not, you can keep a closer eye on your family than anyone else. Make sure no-one in your family swims alone, and watch everybody like their lives depend on it (because they do). 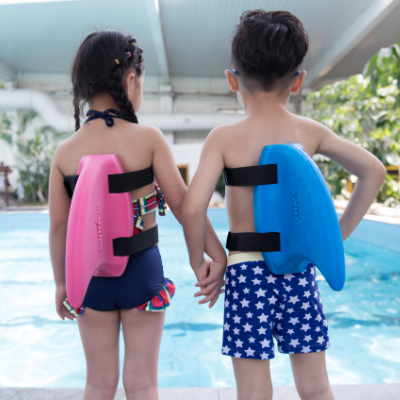 As well as keeping children under constant supervision, make sure that they wear their swimming/safety aid all the time, when they are around the water. 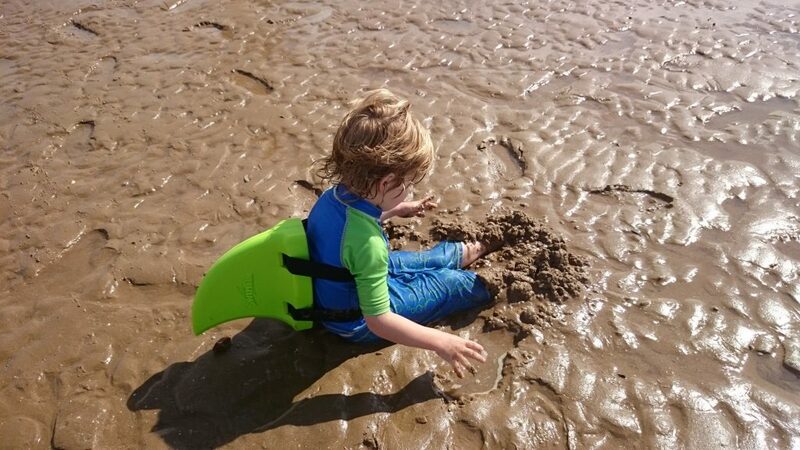 To stop them wriggling out of it at every opportunity, choose an aid which doesn’t restrict their movement and that they are happy/comfortable wearing in the water and on land (such as a SwimFin). Don’t mix alcohol and swimming. Alcohol is a factor in 20% of drownings in the UK. Firstly, holiday pools often have very shallow areas making jumping and diving in a quick way to end up in the local hospital. Secondly, whilst an empty moonlit pool may also look perfect for a midnight swim, some holiday pools are chemically treated overnight when they are closed, meaning your new suntan could be peeling off sooner than you thought or even worse. If you’ve splashed out on a private holiday apartment with a pool or hot tub (lucky you), make sure that pool fences and gates keeping children out are closed after every use, or that apartment doors are kept closed if there is no fence in place (it only takes one mistake to result in a child drowning). 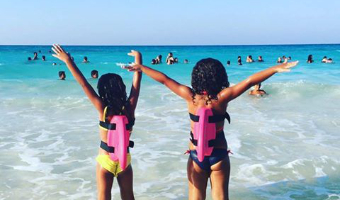 Follow these simple tips and you’re sure to have a fantastic and fun holiday, with lots of fun in the water. Thank you to Michael Dunn, head of the Royal Life Saving Society UK- RLSS UK, for sharing this valuable article with us. SwimFin is proud to partner with RLSS UK for the second year in a row.